Two great tools in Silverlight are the Projection properties and the InkPresenter, so what happens if you put the two together? Well, maybe something like below. Use the mouse to draw within the Silverlight area. In this example I have used the InkPresenter to capture the mouse and produce vector paths. I also have a basic interface to change the colour and path size. I then use that captured data to duplicate the vector path upon 16 faces each rotating around a common point using the Projection properties. The Projection properties in this example have been created inside Expression Blend using a storyboard activated by behaviors. The InkPresenter control is this example has been created inside Expression Blend, but we need to do a bit of work in the code behind file to record the data and convert it into a visual path. 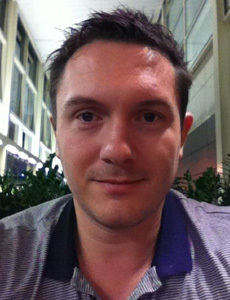 You can read more about this process in this MSDN article. 6 Comments, All Silverlight Examples, Silverlight 3 tutorials, Silverlight Blend Tutorials, Silverlight Effects, by Gavin Wignall. Metia (my employers) have just finished producing not only one of the first ever Silverlight banners for MSN, but the first banner to incorporate Deepzoom and Smooth Streaming and be expandable. 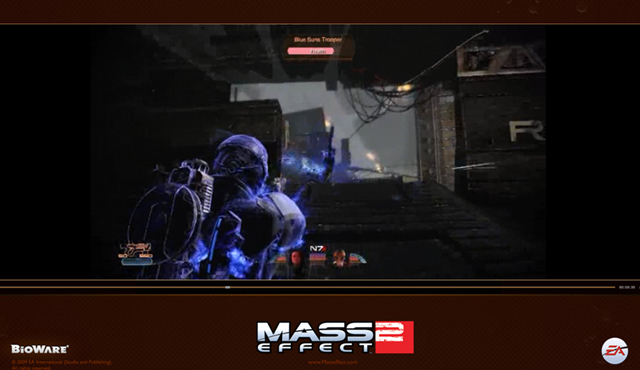 View the Mass Effect Silverlight banner live on MSN. The video also features a full screen view for the HD video. The Smooth Streaming allows users to view the video at the highest quality possible based on their internet connection and CPU speed. If the users connection drops to a slower speed during the video, the Smooth Streaming seamlessly adapts to keep the video stream consistent and free of buffering. 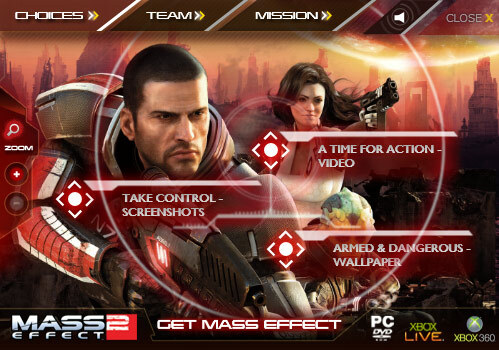 The banner also features a Deepzoom component. 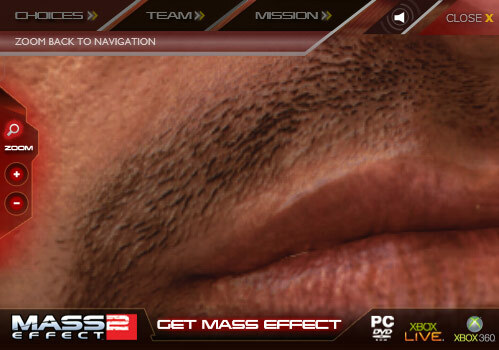 This part of the experience allows users to zoom in as close as to see the stubble on the characters face! The Deepzoom functionality lets you zoom into an image serving up only the part of the image you are looking at and thus not having to download megabytes of data. 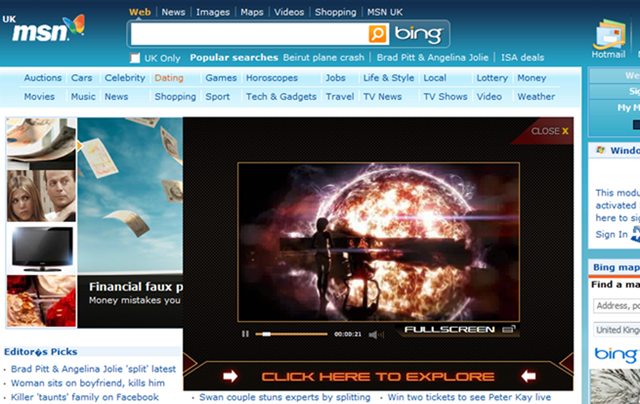 This banner is running live on MSN right now, and is due to feature on the MSN home page this Saturday.